This talk will explore the landscape of land use regulation across the Greater Philadelphia region in relation to patterns of racial segregation. The Greater Philadelphia region is marked by variable housing development patterns heavily impacted by locally-determined land use regulation. Such regulations contribute to regional racial segregation by constraining the type of housing development preferred and accessible to racial and ethnic groups. In this seminar, Doctoral Candidate Christopher Wheeler will explain the implications of exclusionary land use regulation on regional housing development patterns and the spatial organization of households by race. 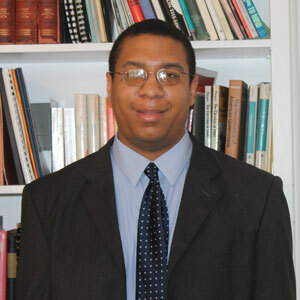 Christopher Wheeler is a Doctoral Candidate in Public Affairs – Community Development at Rutgers University–Camden. He earned a Masters Degree in Government Administration from the University of Pennsylvania in 2008 and a Master’s Degree in Public Affairs from Rutgers University–Camden in 2016. His research interests include poverty dynamics, community and economic development, housing policy, and housing affordability. Christopher has presented papers at various conferences including the Urban Affairs Association Conference and Black Doctoral Network Conference. He was also recently published in Community Development, the peer-reviewed journal of the Community Development Society. Parking in Rutgers–Camden lots is by permit only. Visitors to Rutgers–Camden should obtain a temporary permit to park in a lot from 8 a.m. Mondays through 5 p.m. Fridays. Contact Parking and Transportation for more information. Event posted in Cure Seminar Series, seminars. Page last updated by CURE at 2:46 pm October 24, 2016 . This page was printed from http://cure.camden.rutgers.edu/events/cure-seminar-series-land-use-regulation-housing-development-and-racial-segregation-in-the-greater-philadelphia-region/ at 9:07 AM Saturday, April 20, 2019.